In the Fall of 1999, shortly after the implementation of the PeopleSoft Payroll System, the Council of Academic Deans (CAD) requested the Associate Vice President of Financial & Business Services to form a “Payroll Working Group” to address various issues. Representatives from each academic college were encouraged to attend. Other, non-academic areas, were later invited to participate. As the group matured, it became a forum to address issues in other central administrative areas. To reflect the broadened focus of the group, it was renamed to the Business Process Advisory Group. Communication is the key to the BPAG. Problems and issues along with suggestions to solve them are why the BPAG meets! Over the past several years, the BPAG has helped facilitate many important changes implemented by central administration. The BPAG is not a policy making group nor is it intended to be the primary means of communicating to all the departments. Financial & Business Services sponsors the BPAG. 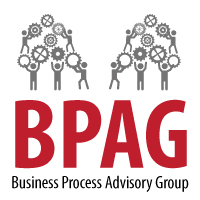 Business Analysis & Support Services facilitates the BPAG meetings and communications. The monthly BPAG meetings are held in the INSCC Building, room 110 on the second Friday of each month from 9:00 – 11:00 AM. This is a great opportunity to meet with members of central administration and discuss your concerns. The success of BPAG depends on participation. Ideally, each college will be represented at the BPAG meetings. This facilitates the bidirectional flow of information that results in pertinent and relevant topics of discussion. Each participant should also remember he/she attends representing his/her area, bringing to the group issues and concerns of his/her respective area. Disseminating the information from the BPAG to others in his/her area will increase the effectiveness of the BPAG meetings. Respect is the guiding principle under which the BPAG meets. We must continue to respect each other. Because we often discuss matters involving financial transactions and/or employees, we must remember to respect individual privacy. Check here to see the agenda for upcoming BPAG meetings and to read the minutes of past meetings. Subscribe to the BPAG mailing list.